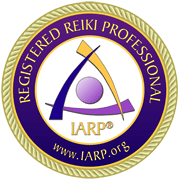 Click on each service to learn more about how they work at Reiki of Greater Boston. Through this healing therapy your body will be moved toward its original state of health, your mind toward peace and your heart toward its true purpose. Crystals have a long tradition of being used for healing. Each variety of crystal has a unique internal structure, which causes it to resonate at a certain frequency. It is this resonance that is said to give crystals their healing abilities. Applying these stones in combination with Reiki amplifies the healing effect. To choose the stones that will best assist you with your goals we will do an assessment of stone compatibility. This process involves asking/answering some questions and then ‘trying on’ different crystals for agreement with your body. See offerings under the Reiki section above. Cost is the same as in-office treatment. $120.00 for 60 Minute Reiki Healing within 10 miles of Reiki of Greater Boston home base. $60.00 add-on fee within 15 miles of Reiki of Greater Boston home base. *Once You Purchase Your Semi-Private or Small Class You Can Text 508.335.3814 to Book aDay/Time for Your Class. Each Life Coach Program offered here includes Coaching Sessions, Reiki Healing, and unlimited support via email/text in between sessions. Depending on your situation/issues I may also offer you additional services: Yoga, Meditation, Breath Work, Crystal Healing, Chakra Balancing, Aura Clearing, Recommendations of Books/Readings to support your growth and Suggestions of other Healthy Lifestyle options to support your progress in designing and achieving your dreams. Each Life Coaching session is at least 90 minutes. Gift Certificates are available in any denomination and can be applied toward any service. Text (508.335.3814) or email (reikiofgreaterboston@gmail.com) to request Certificate if you are looking for something that is not listed below. Payment is due prior to or at the time of service. Payment options: Cash, Check & All Major Credit Cards. Take a step toward health. Book Your Reiki Appointment Here. You are worth it!